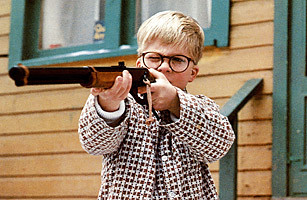 Made famous by the 1983 film A Christmas Story, the Red Ryder BB Gun was introduced in 1938. Produced by Daisy Outdoor Products, the toy gun closely resembles the Winchester rifles featured prominently in popular Hollywood Westerns. Originally, the gun was named after a fictional character Red Ryder, the star of a popular comic strip that eventually inspired three films. Though BB and other toy guns have come under fire in recent years over safety concerns, the Red Ryder is still among the most sold BB guns in the country.